Easter is approaching and many of us will present some traditional recipes to our students. But first let's make sure they know necessary vocabulary. 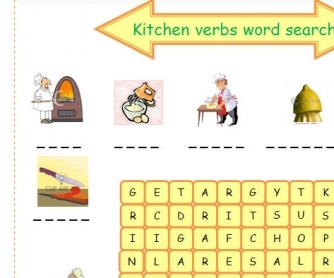 This worksheet represents a fun way to revise kitchen verbs. 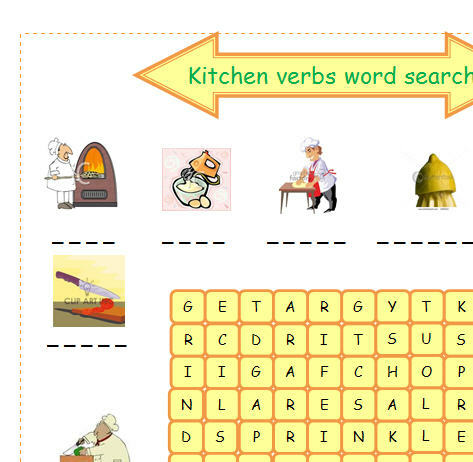 Have your students search for the verbs suggested by pictures (all directions). Afterwards have them write the words below the pictures. List of all the verbs is on page two. Have fun!